Hey guys! We released a new limited run at Railcar the other day, I wanted to share it with you. This is a beautiful light blue color with a red selvedge line. It is about 11 ounces with little stretch in it. We have this available for preorder we only have enough fabric to make about 15-20 jeans. Let me know if you guys have any questions! Finally an indigo Selvedge Donna! 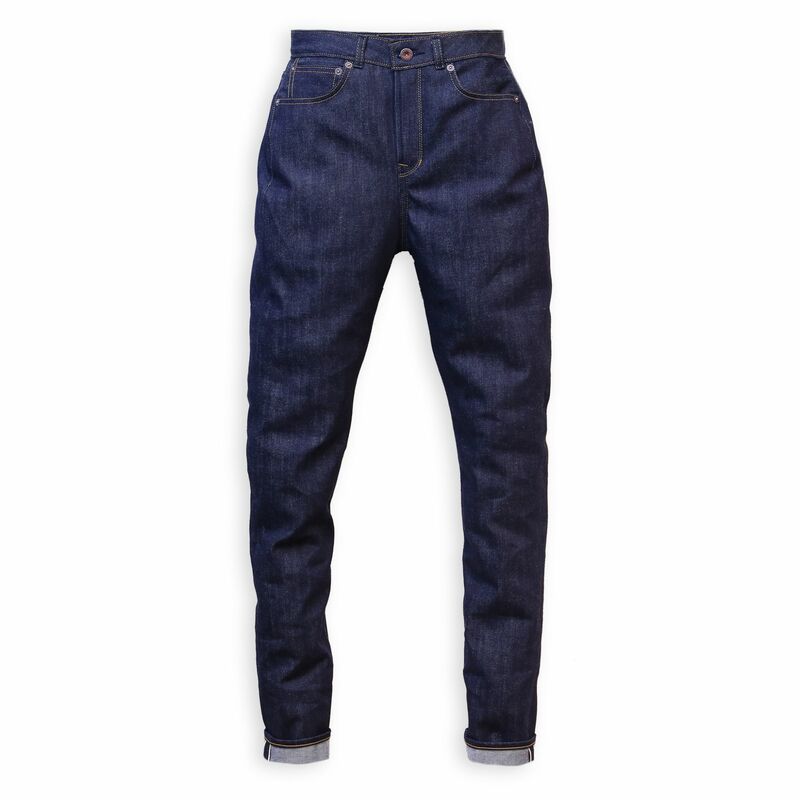 Made from 12 ounce about 3% stretch indigo selvedge. This fabric is a very good weight it feels nice and thick with a good amount of stretch to keep your figure nice and condensed but still super comfortable/soft. 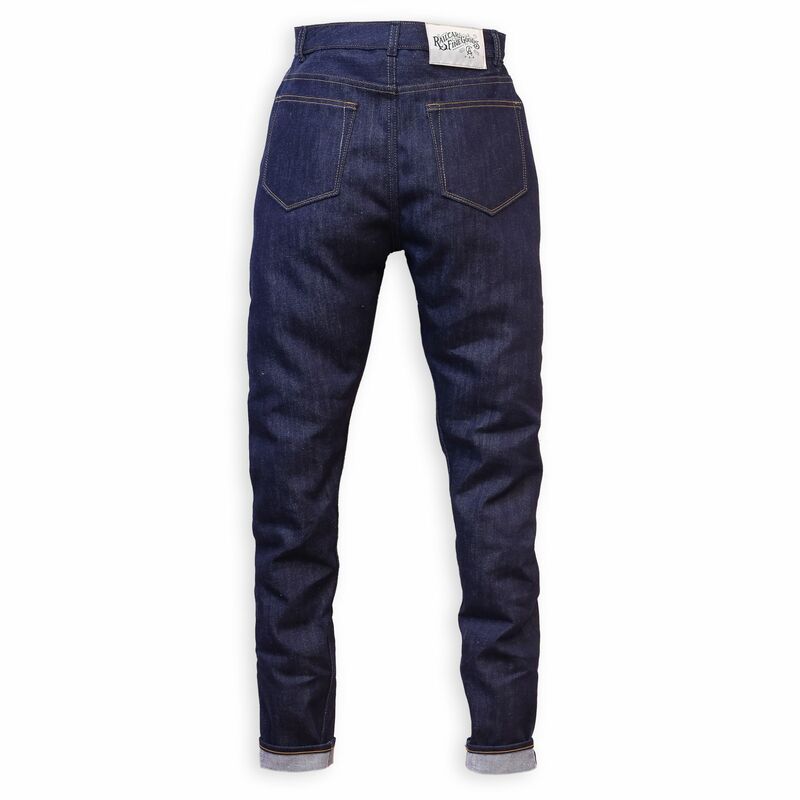 This will also be limited since we only have a few rolls of this X046 denim. Here is Sarah our production girl, she is wearing a size 27 fresh off the machines. 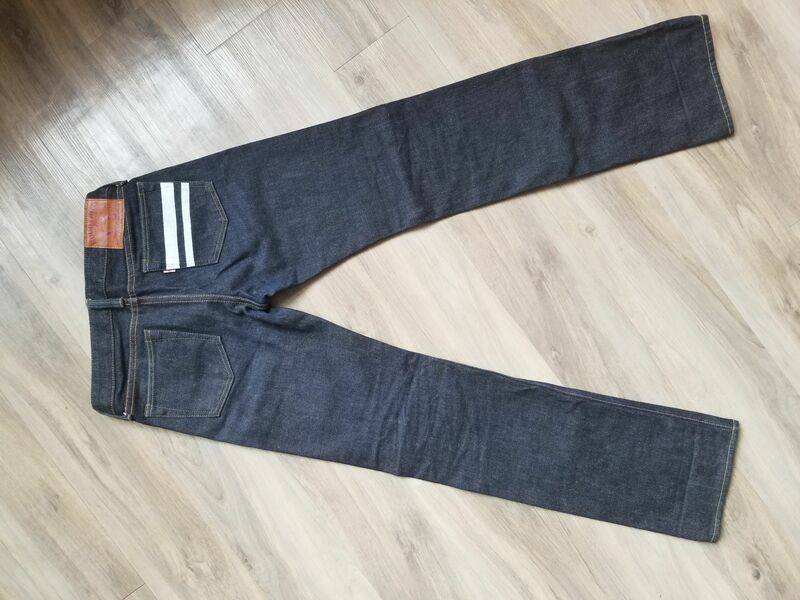 selling my Momotaro 8005SP size 27 on eBay with week with no minimum bid (auction ends Sunday September 9). They were purchased new from Denimio, worn a few times and not washed. I loved these and wanted them to work ...very flattering back pocket placement, and the low rise is perfect for someone with wide hip bones like me. 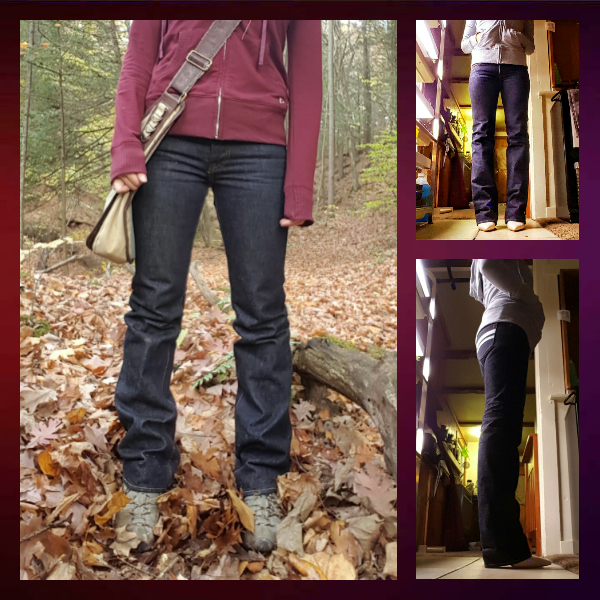 But they did not stretch anywhere near as much as my other raw denim during break-in, and I don't think my hips are going to get any smaller, so they must go. I see a lot more lower/mid rises! At Railcar we have been getting a ton of request to bring back our Vixen fit so decided to release it in a nice 12 ounce Cone Mills stretch denim. We now shell-stitch all of our fly interiors, here is a shot of it below. Broken in Railcar Chore Coat and Starlet Raws. Chore Coat is a 12 ounce American Duck canvas unisex chore pattern. 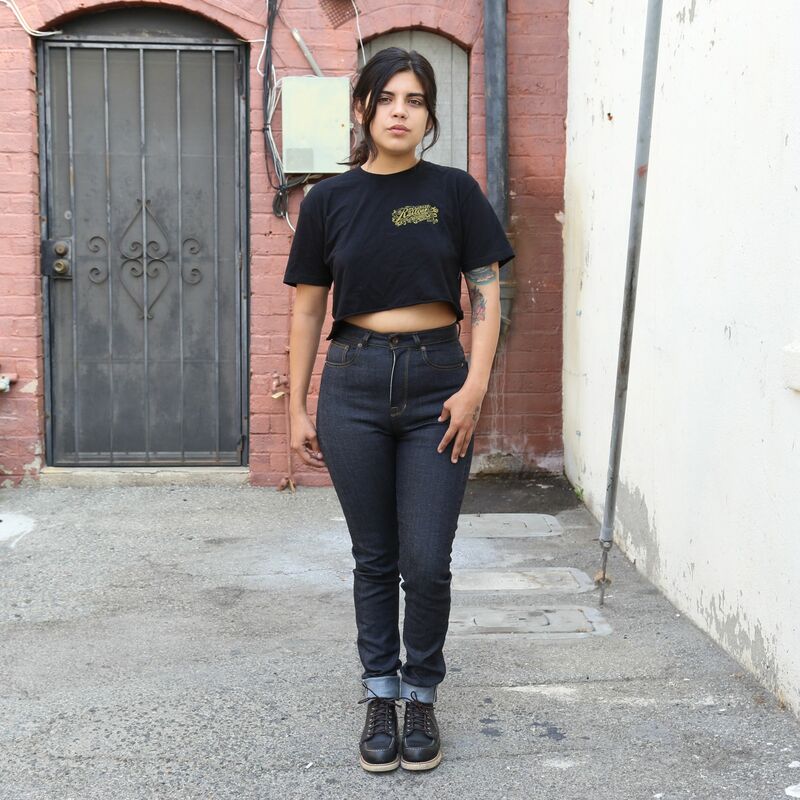 Starlet Raws are 11 ounce Turkish stretch denim. At Railcar we released the X008 American Cone Mills White Oak stretch selvedge in our high waist Donna fit.